Harman International Industries Inc., a wholly-owned subsidiary of Samsung Electronics Co Ltd., is launching an international smart mobility testing range in Israel, the company officially announced Tuesday. 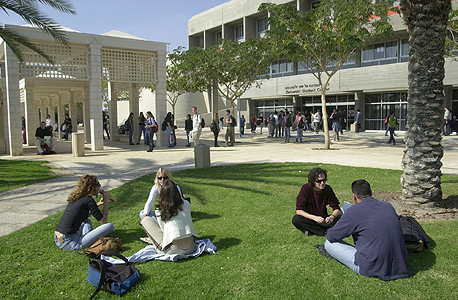 The range will be developed in cooperation with Ben-Gurion University of the Negev, located in the southern Israeli city of Be’er Sheva. The range was first announced in a cybersecurity workshop held at the university two weeks ago. According to the announcement, the range will act as a "living lab" for automakers, tier 1 auto suppliers and academic research institutions, enabling the testing and development of automotive cyber security, autonomous driving and smart mobility technologies. It will encompass all aspects of future mobility systems, including public transportation, private vehicles and personal mobility devices. Mr. Dickman is the co-founder of Israel-linked cybersecurity company TowerSec Automotive Cyber Security, bought by Harman in 2016 for $70 million. In 2015 Harman acquired Israel-linked Red Bend Software, a company offering a software management platform for automotive, mobile, and IoT products, for $200 million. Also collaborating on the range are Berlin-based Deutsche Telekom Innovation Laboratories, venture capital fund Jerusalem Venture Partners, and Israel-based cybersecurity company Cymotive Technologies, whose chief executive is Yuval Diskin, former director of the Israeli Internal Security Service.